Our Lazar Chairs come in a huge variety of shapes and sizes. Choose from a vast selection of traditional, contemporary and transitional styles. Browse through over 100 options from Lazar below. Lazar's Furniture offers a terrific trio of custom options, seating comfort, and construction quality. 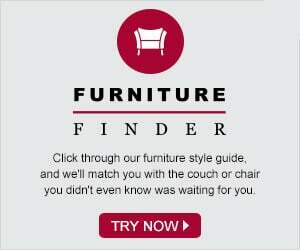 Lazar's furniture is offered in over 300 fabrics and 80 top-grain leather hides, and offers an unmatched number of custom options, including three seat cushions to choose from, three back cushions, over 40 wood finishes, and customizable designer pillows and welted detail (select styles). Lazar sofas all include a lifetime warranty on both their kiln-dried hardwood frame and seating system. Various cushion options allow any customer to find the perfect seat for their type of comfort, while our Design Center helps to make finding the perfect sofa a breeze! Offered exclusively with Platinum Delivery. Finding the right chair is no simple task. That’s why we at Savvy Home offer you as many options as possible. You’re looking at over 100 top of the line chairs right now. Almost all of which are fully customizable. Meaning that if you can’t find the perfect chair here, you might just be a lost cause. Once you’ve decided on a chair, take it to our Design Center and pick the perfect exterior from our many designer fabric upholsteries or full-grain one hundred percent leather hides. Our wide array of Lazar Chairs offers everything from avant garde contemporary design of the Ava Leather Design Chaise Lounge Dormeuse to the traditionally elegant Prague II Leather Chaise Lounge. Still not impressed? Check out the Swivelette Leather Swivel Chair by Lazar Industries and it’s hip retro feel, accentuated by a flared back and legs. Need your new chair in a hurry? Not to worry. Just select one of our Quick-Ship options and have your chair delivered within approximately 7-10 days of purchase.